Engaged or newlywed in Arizona? 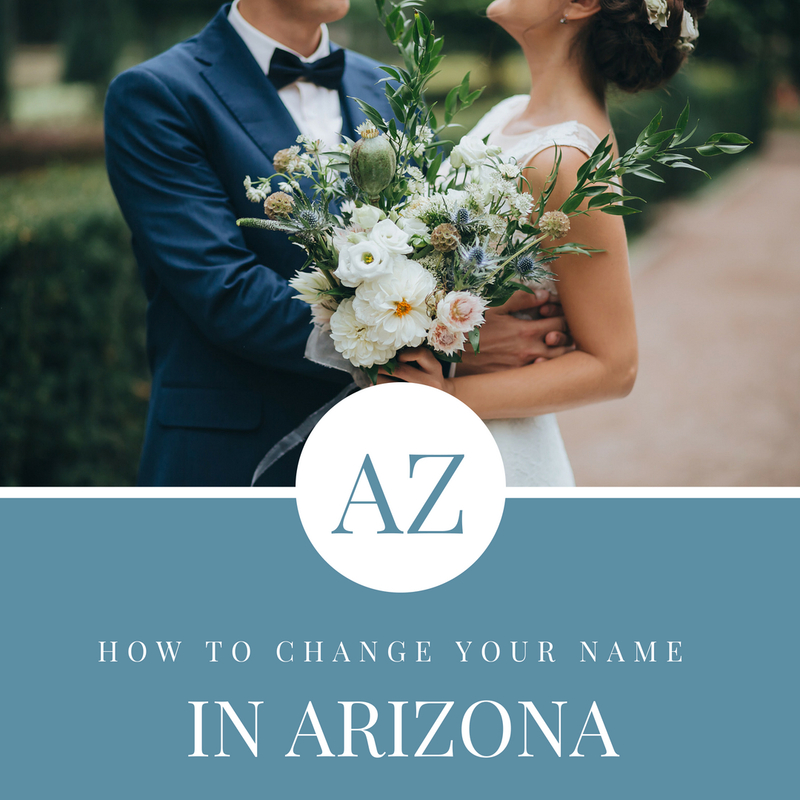 If you’re considering changing your name in Arizona, use our expert tips to make the process of transitioning from Miss to Mrs. much smoother! Applying for your marriage license in Arizona is really easy. Licenses are issued the same day you file, and are valid for 12 months. This allows you to check this wedding to-do off your list well in advance of your Big Day! If you’re looking for county-specific Arizona marriage license information, head to MarriageLicenseNow for the inside scoop on what to bring, who has to be present, and what fee to expect. Approximately 2 weeks after your wedding, your certified marriage certificate will be issued and mailed from the County Clerk’s office. This is the legal document “aka proof” of your marriage that will use to file your name change paperwork. We highly recommend requesting an additional 1-2 certified marriage certificates so you can file multiple forms at once, and streamline the name change process. The first federal name change form to tackle is the SS-5. Once you’ve completed the form questions, you will need to file in-person or by mail with your certified marriage certificate, and state driver’s license or U.S. Passport. Your new social security card with your new name will be issued within two weeks. Your name will change, but your social security number will stay the same. Next up, is the IRS 8822. Completing this free form ensures that the IRS is notified of your new married name; preventing any tax return confusion. Expert tip: The Decedent is an individual who has passed away and left you funds. It’s one of the most frequently asked questions at MissNowMrs. To change your name on your U.S. Passport, you will need to complete the DS-11, the DS-82, or the DS-5504 depending on your current passport status. Supporting documents necessary for filing your passport forms include a certified marriage certificate, 2 passport photos, and your current passport or photo ID. The State Department typically takes 5-6 weeks to process and mail your new passport in your new married name. If you submitted your previous passport in your maiden name, it will be returned to you with two small holes punched in it. To update your name on your Arizona driver’s license you will need to complete the Arizona Driver’s License Application form. Wait 48 hours after filing the SS-5 form with Social Security before filing for your new driver’s license. You will need to bring your completed form, current license, certified marriage certificate, proof of residence (ex: utility bill or paycheck,) and $12 for the filing fee. Your new Arizona driver’s license will be issued the same day you apply for it. If you’re still in the planning phase of your Arizona wedding, don’t miss the fantastic free resources at Tre Bella. They cover absolutely every angle of getting married in Arizona!